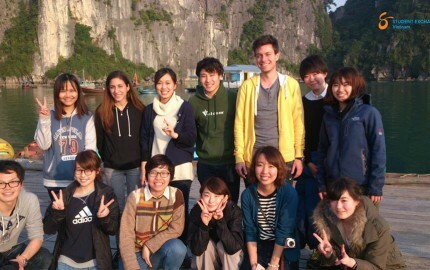 Group Internship in Vietnam is Now Available! 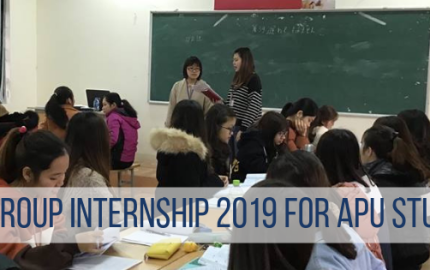 SE Vietnam is having a great news to announce: our Group Internship Program is officially open for applications, starting from TODAY – June 15th to July 31st, 2016. 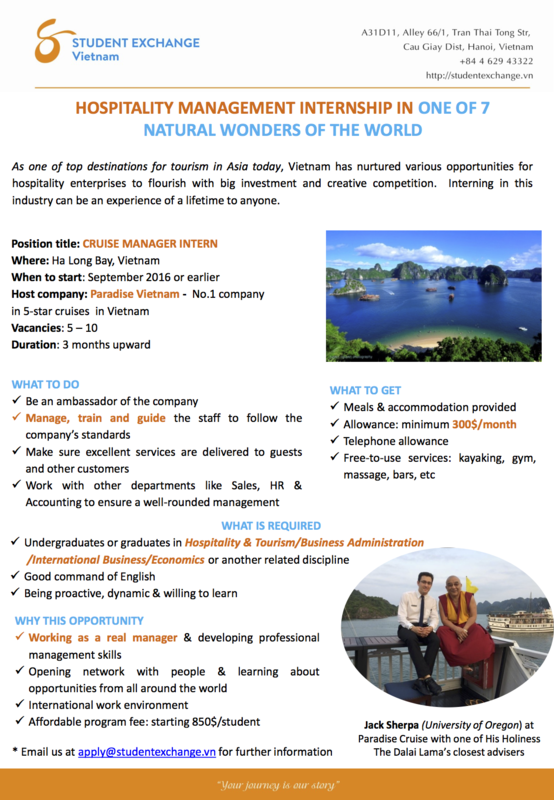 Group Internship in Vietnam – a fully-packaged, explorative & experiential learning opportunity at Ha Long Bay – one of the World’s New Natural Wonders in the field of Hospitality & Tourism, is expected to give groups of students excellent working environment in a professional setting as they will be interning in a 5-star-quality cruise as assistant managers/managers, receiving assistance and working along with experienced staff members from all around the world. Applications are now OPEN. 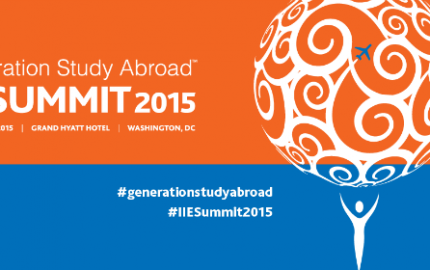 Click here to register for an amazing internship in Vietnam! Or Contact Us for more information on this program.